John Foxx "Metamatic (3CD Deluxe Edition)"
Posted in Uncategorized 1 Comment on Metamatic Delayed? Nooooo! Numan’s Savage is at #2 in the UK album chart! If it wasn’t for the Foo Fighters, he would be #1.. Check out the "Are Friends Electric" riff. Nice. Electronic Sound, crowdcube, failed. ? The Electronic Sound crowdcube campaign has sadly failed.Plan B is a private syndicate..
Brooklyn’s Sacred Bones imprint hits its centenary. Since 2007, Sacred Bones have turned out dark psychedelic pop and alternative rock with a gothic streak – if it could reasonably soundtrack a bad trip, it’s probably got a potential place on their roster. Their biggest graduate remains Zola Jesus, who issued her breakthrough The Spoils EP on the imprint and has repeatedly returned ever since. 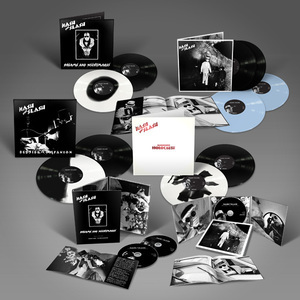 Other key releases include records from dark Scandinavian shoegazers Lust For Youth, Gary War‘s blitzed 2009 LP Horribles Parade, and (major personal favourite alert) Amen Dunes’ brilliant 2011 album Through Donkey Jaw. Cannily, they’ve also recently formed a relationship with David Lynch, releasing his The Big Dream LP, reissuing the grinding Eraserhead OST, and excavating some forgotten Twin Peaks soundtrack material. The 100th Sacred Bones release arrives from defunct NYC duo The Hunt – who, in a neat bit of circularity, were responsible for the first disc in the label’s catalogue. Jasper McGandy and Christian Kount’s post-punk project released the One Thousand Nights 7″ on the label, then promptly disappeared from recording history. 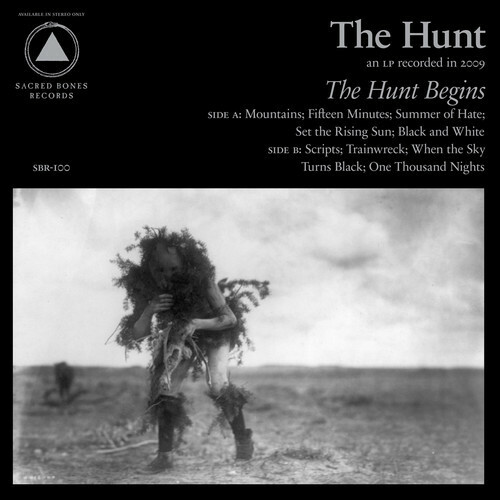 In 2009, the group laid down debut album The Hunt Begins in Boston, but the record never saw the light of day. Interestingly, both McGandy and Kount now earn their keep playing with Sean Ragon’s warped neo-folk project Cult Of Youth. Sacred Bones’ edition will mark the album’s first official release; expect spindly post-punk with a Gothic heart and more than a few nods to Interpol. The nine-track LP will arrive on December 11 – yep, that’s 11/12/13. Click below to stream ‘Fifteen Minutes’. Ghost Box DJs, House and Jupp, will be opening events in the Talking Shop Tent at The Greenman festival this Friday (16th August) at 12:00, midday. Their sets will book end a talk by marvellous, magical Mark Pilkington at 12:45 and then an interview with mighty, megalithical, Julian Cope at 14:15.